Brother Kris, admiringly talking about the rich contents of President Assad's Website; was interrupted politely by the Editor-In-Chief; this is just a simple personal gift, once coordinated with Dr. Mohammad Al-Hussein, ex-Finance Minister and BASP Regional Command member, in memory of the builder of Modern Syria. 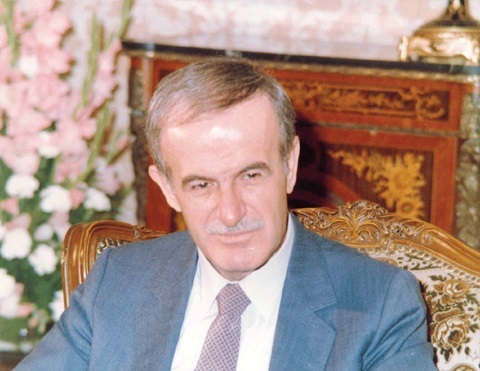 The Late Hafez Al-Assad and in recognition of the great sacrifices an deeds by our beloved President Bashar Assad. President Bashar Al-Assad has exerted tireless efforts in the fight against terrorism for Syrians, neighbors, EU, American and all inhabitants of this global village. President Assad, Syrian Army, Resistance and allied forces cleanse the world from terrorists, when the US, West, Turkey, Saudi Arabia, Israel and Qatar have been training, arming and supporting the terrorists , Kris pointed out. 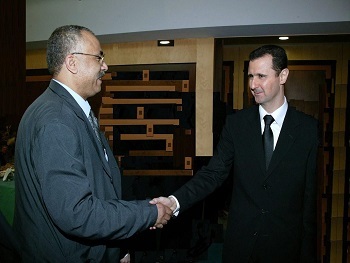 Once Syrians under the leadership of President Bashar Al-Assad liquidate a terrorist, they are indeed saving many lives of the innocent worldwide, particularly in Europe, where there are many governments supporting and arming the terrorists against the Syrians, declared the famous Belgian Journalist, Kris Janssen. In a recent cordial friendly talk at the headquarters of the Syria Times Online, my close friend Kris, said look Mohamad, in my country, Belgium, imagine that they pay monthly allowances to some persons, extremists, who came to fight in Syria as terrorists, and some of them returned back to my country and found their allowances deposited and saved in the banks and the Belgian government did nothing against them! Had it not been for the Syrian Army and its allies, terrorists would have destroyed many of today's global village, added Kris, with whom I do share many common principles and human values. Terrorists with Wahabbi ideology! and is this the kind of society they want to create! Exclaimed Kris. 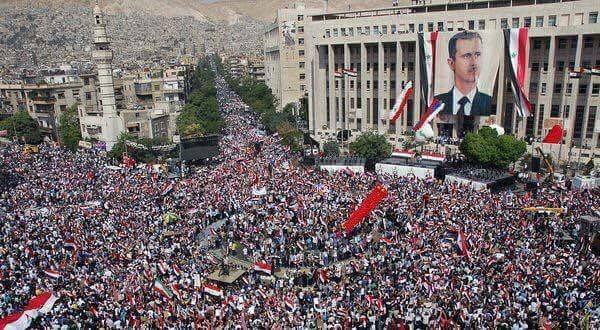 They cannot succeed the Syrians told me we love our president Bashar Al-Assad, who fights in defense of Syria and the Syrians.. we love our President and we are here only because of President Assad and are free again because of President Assad and the Syrian Army and our allies. EU Foreign policy is very weak; they just follow the Americans and share in the ongoing proxy war against Syria, citing the US greed and sinister schemes as to divide Syria and exploit the Eastern part, rich with oil and gas, and as a barrier in the face of relations among Iran, Iraq, Syria and Lebanon, added Kriss. The USA is targeting the axis of Resistance as to break Resistance Alliance and as to break up Syria into religious, sectarian and ethnic lines, noted Kris, asserting that the Syrians, under President Assad, are, however, genetically structured with oneness, unity and integrity. In Europe, especially Britain and France, they think that the more the war goes on, the weaker Syria becomes. And this is wrong and it is the opposite during these years of terrorism war where Syria is becoming stronger year by year, underscored Kris. People in the West do not understand the will and determination of the Syrians to defeat terrorism. Syria is a big family where President Bashar Al-Assad is the father taking care of the nation and of the people, added Kris. Every terrorist killed by the Syrian Army and allied forces is a gift to the entire world, especially to Europe at large, declared Kris, who following frequent visits to Syria, seems very well acquainted with the ongoing. And people in the West, especially Europe, should understand that H.E. President Bashar Al Assad, by being a shield against terrorism for his own people, in the same time he protects the populations of the Western countries, added Kris. His efforts to combat terrorism in Syria constitutes also a bulwark avoiding that these same extremist terrorists who are trying to destroy Syria and submit the Syrian people into slavery will, if there was not the bulwark of Syria under the leadership of President Bashar Al Assad, flood the West and make the people in the West suffer the same fate of being exposed to brutal Wahhabi terrorism and cruelty as the Syrian people have been under for more than 6 years, outlined Kris. H.E. President Bashar Al Assad is hereby, acting as a shield, not only protecting the Syrian people against terrorism but also the people in the West and everywhere else in the world, underscored Kris. The popular support for president Assad is one of the reasons behind Syria's success in fighting terrorism and on behalf of the whole world, outlined Kris. Geneva, Astana should in no way decide Presidency in Syria; it is up to the Syrian people to decide and elect their president, as it is the case with President Assad, the most popular democratically elected leader in the world, asserted Mr. Kris. I was here during the last presidential elections in Syria in 2014; it was serious, not fake elections and nobody has right to dictate what should be done in a country, especially when it comes to the USA and its destructive role worldwide, like in Venezuela, Cuba, Iraq, Brazil and in many other places! Outlined Kris. Syria is a peaceful country and the supporters of terrorism should not be allowed to impose their will and agenda on the Syrians. Surely, the Syrians will not accept, reiterated Mr. Kris. I welcome and appreciate the ongoing reconciliations and presidential pardons; but I have some fears that some of those pardoned will not be rehabilitated and their minds will remain dark , extremist and ignorant. Care should be considered with those who will not integrate with the society and who will cheat again, said the veteran journalist. We remember when in 2011 police was dispatched with no weapons as to calm paid for demonstrates! The terrorists started shooting at the policemen and at the demonstrators! In fact, from day one, it was extremist violence, Kris recalled. 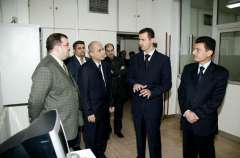 To my personal opinion, which is based upon an analysis, close observation and several visits to Syria, also during the more than 6 years of barbaric international aggression and terrorism imposed on the Syrian people, I can confidently make the following comments about the Presidential couple. This are not only my words but also an echo of the common Syrian people I spoke too during my visits. Including the people in cities, towns and villages which are liberated now by the Syrian Arab Army (SAA) and which were under control of terrorists under who the people suffered a horrendous life, a living nightmare. H.E. 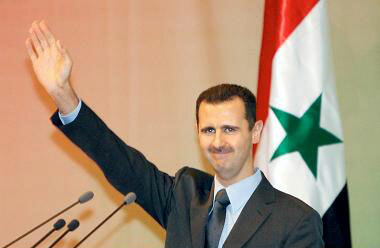 President Bashar al Assad, President of the Syrian Arab Republic, is his official title. It means he represents the Syrian Arab Republic and the Syrian people. But in reality his role goes much further. He is not only a symbol. 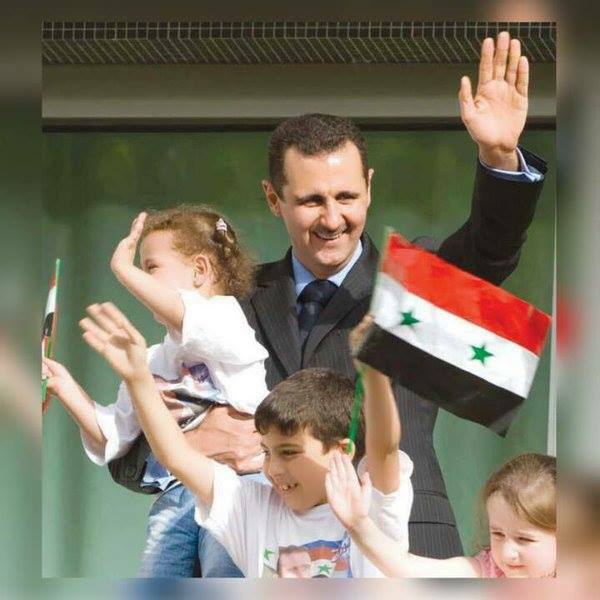 In reality, besides his official title, he is like a father for the Syrian people. He never abandoned his people. The easiest option for him could have been to leave the country and lead a comfortable life somewhere in exile abroad. That was what he was offered many times. A safe exit towards safety. 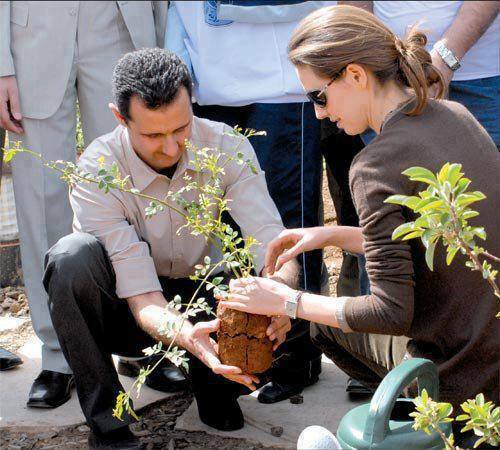 He, together with his wife (First Lady Asma Al-Assad) refused. Time after time. He stayed with his people reiterating that he will never abandon them. 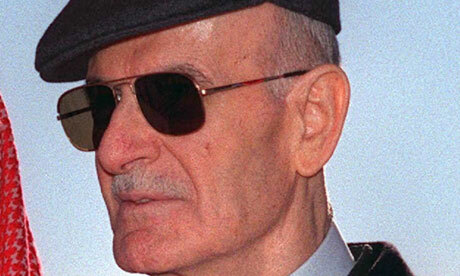 He is the father of the Syrian people and if necessary, he said several times, he would rather die in his homeland, staying with the people than abandon the ship. Even in the darkest times of the war he did not choose that option. Money, safety... everything was offered to him by the enemies of Syria but nothing could change his mind, added Kris. Why? Because a real father doesn't abandon his children when the family is in danger. He does everything possible to make the suffering of his people, children less and to improve their lives. Life is difficult and hard for the Syrian people after all this years of war and although Syria was always a prosperous country it was never rich. Syria didn't have the amount of natural resources other Arab countries have which they are using now to kill the Syrian people and impose a Wahhabi dictatorship upon them, added Mr. Kris. But the people of Syria had a good life before the war. The President directed the government to implement a policy where every citizen had a decent and worthy life. This is in sharp contrast to other Arab countries. In Syria there are no beggars on the street. Everyone had a roof above his head, enjoyed free education on all levels, from kindergarten to university, and free healthcare in high quality hospitals and health centres where highly qualified doctors were available for everyone, Kris outlined. Now, during the war, the President continues this policy and orders not only the government but all officials working for the government to follow the same policy. Resources have become scarce because of the war but thanks to the policies of H.E. President Bashar Al-Assad, everything is done to provide and distribute fairly what is available. In all the areas under governmental control, after more than 6 years of war, the State is still functioning. Schools and hospitals are open and still deliver free education and healthcare to the people which is amazing. 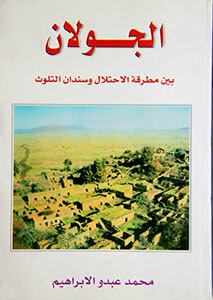 In the liberated areas which were under control of the terrorists who destroyed everything and where the people suffered tremendously from the brutalities and cruelties of their sick minds, but which are now again free and under control of the government, utility supplies as water and electricity are getting restored by engineering teams the day after liberation, added Kris. Houses are repaired and schools for the children get hereby absolute priority knowing that during these years of occupation under the Wahhabi extremist terrorists there was no education. Only brainwashing Wahhabi ideologies were provided as education to the children with text books provided by Saudi Arabia, asserted Mr. Kris. 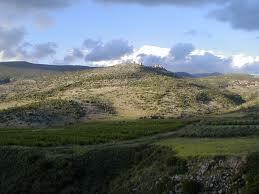 The Syrian people are aware of the efforts of the President to improve their lives. That's why the people sincerely love their President and consider him as a father of the Nation and the people. In every single village, town or city the people shout out their love for their President and the father of the people. And this is not a cliché. Their words come straight from their hearts, noted the distinguished Belgian journalist. My last visit to the city of Aleppo in April this year where I also visited the Eastern sector of the city where the people had to endure the most harsh life imaginable for 5 years under terrorist occupation once again confirms this. H.E. President Bashar al Assad is not merely a title. He takes care of the Syrian people as a father for his children, added Kris. 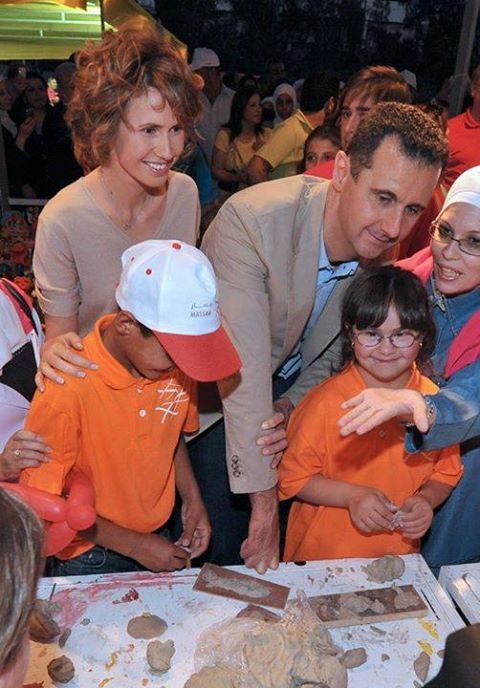 Also the President's wife, First Lady Asma Al Assad, is dedicating her whole life to the well-being of the Syrian people, especially the weakest people of society who suffered most, added Kris. Also she could have chosen for a comfortable life in exile but just as her husband, H.E. President Bashar Al-Assad, she decided to stay with the people and devote her life to the wellbeing of the people. She is especially focused on making the impossible possible to relieve the suffering of those most hurt, mothers and widows of Martyrs and the children of Syria. When H.E. President Assad is as a father for the Syrian people, his wife First Lady Asma is the mother of the Nation and Syrian people. She is always present and available to console and comfort the mothers and widows of the Martyrs who gave their lives on the battle field to defend their country and their families. She not only takes care of providing them with material assistance. although this is also important, she gives much more. She gives these people a warm heart-emotional support. First Lady Asma Al-Assad is the mother on which every Syrian citizen can rely on that their wellbeing is the focus of her life, added Kris. This devotion translates especially in her never ending efforts to help the children. She understands so well that education and guidance from kindergarten to university is so important. That the children of today are the future of tomorrow. She deals with it with the greatest care. With love and dedication. Visit after visit you can see her concern and sincerity, noted Kris. From the first second you can see that her visits are not organized as a merely protocol visit but that she is totally involved. She talks with the teachers and the children. She embraces them. She goes to the bottom to understand their needs; so she can act immediately to improve what is necessary to fulfil their needs. This makes her the mother of the Nation and the Syrian people. She understands perfectly what is necessary. What has absolute priority. She treats every Syrian child and young adult as it were her own children, outlined the veteran Belgian journalist. This dedication, from H.E. President Bashar Al- Assad and First Lady Asma Al-Assad makes them besides the official title of President and First Lady the father and mother of the Nation and the Syrian people, outlined Kris.